I'm sure most of us already know how to boil tea so I'll kindly skip that part. 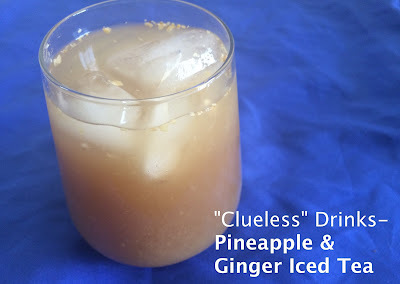 While tea is steeping add ginger and pineapple in a blender. Blend until smooth, transfer to pitcher, and store in fridge for a few minutes or until tea has cool down. Add tea to pitcher, stirring, and mixing along the way. Add agave nectar for some sweetness, ice, and Ahhhhh!